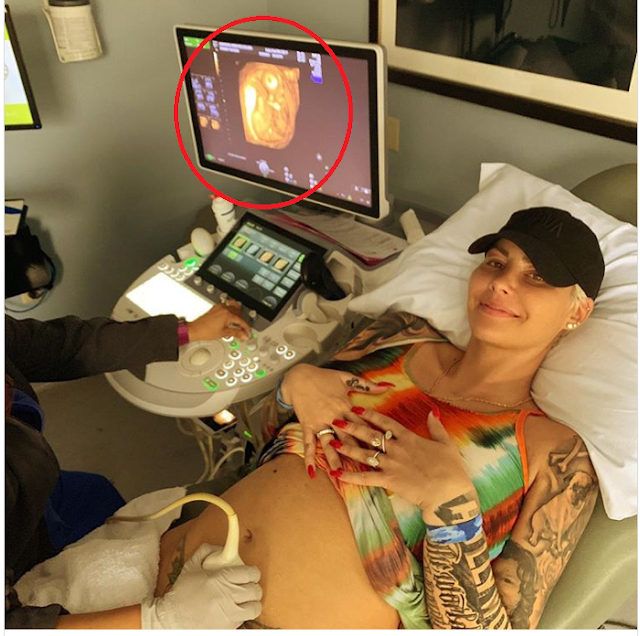 Wiz Khalifa's ex-wife Amber Rose is pregnant with her new boo thang's baby and he so happens to be Def Jam's A&R Vice President! ..... She's out here securing 'bags' ...[no shade😅]. 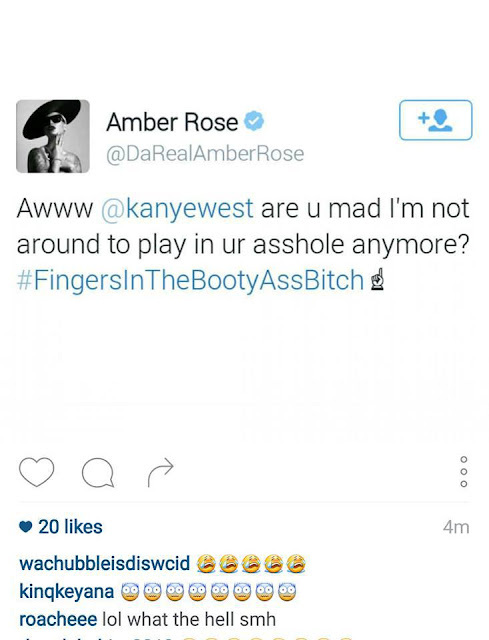 Kanye West may have started a Twitter feud with Amber Rose and Wiz Khalifa that will only end badly. 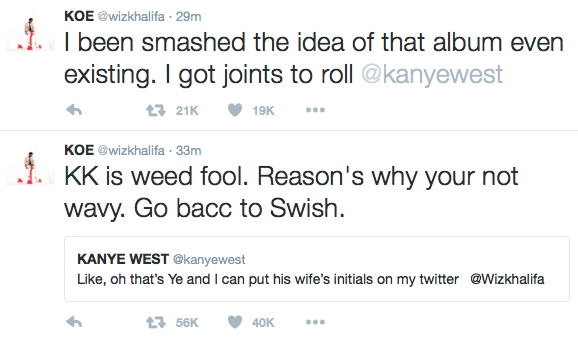 On Tuesday night, Mr. West went on a serious twitter rant to blast Khalifa after he changed the title of his upcoming album from "Swish" to “Waves,” which quickly got a reaction from Wiz. 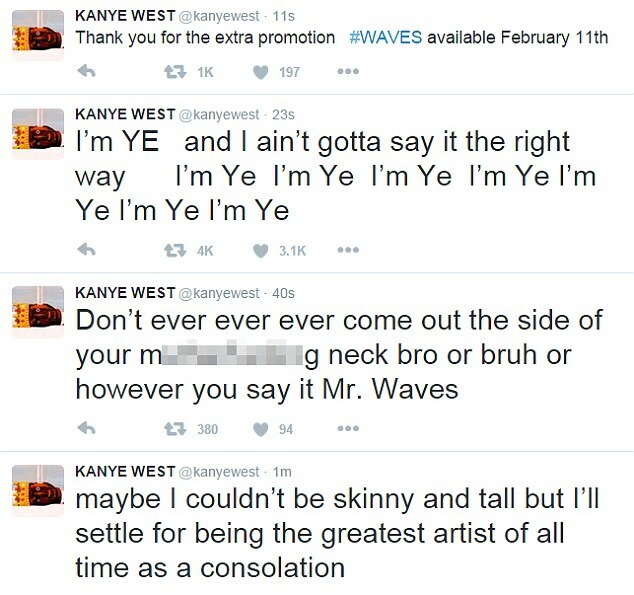 “Wiz claims it was rapper Max B who created the “Wave.” “Please don’t take the wave,” Khalifa tweeted. 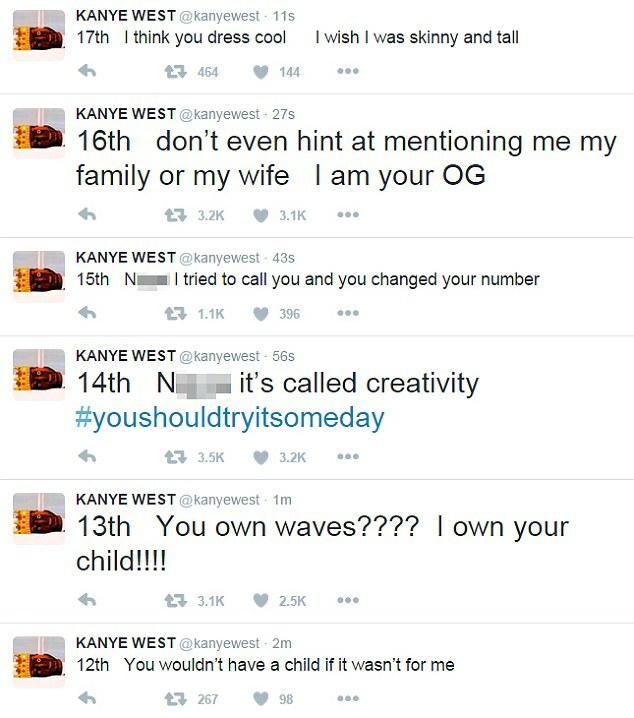 And to add more fuel to the fire, Kim Kardashian's husband gave 17 reasons why Wiz was wrong about Waves, and even dragged the rapper's son and baby mama into the mix. 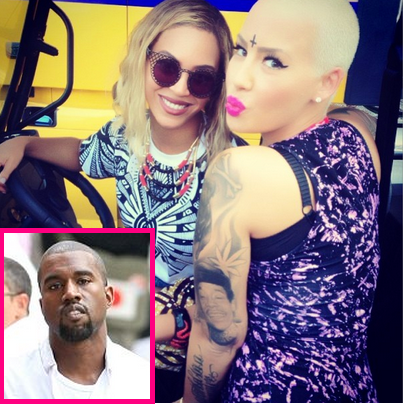 Amber Rose REACTS To Kanye West & Beyonce’s ‘Drunk In Love’ Remix? Yesterday, we reported that Beyonce and Kanye West released an x-rated remix of Bey's hit single, "Drunk In Love," along with a black & white teaser clip of the mega pop star dressed as a cowgirl. Amber Rose and her husband Wiz Khalifa was spotted taking their adorable son, Sebastian Thomaz, for a stroll in the Runyon Canyon Park in Los Angeles on Tuesday afternoon. 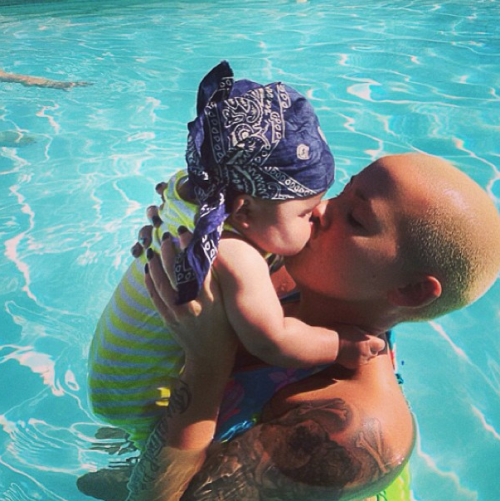 Recently, Amber Rose shared a new photo of her now 7-month-old son Sebastian with rapper Wiz Khalifa. 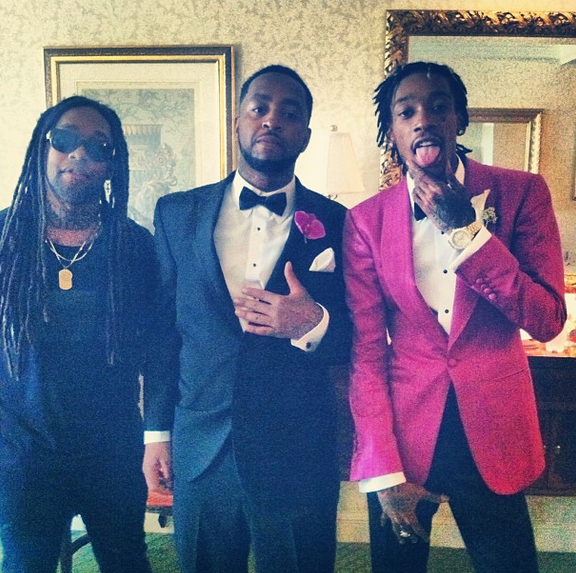 In the photo, the proud mom, who is married to rapper Wiz Khalifa, was all smiles with baby "Bash" as the couple has affectionately nicknamed their son. This is the first full face shot of Bash without a costume. The couple did recently share pics of Bash's Halloween costume. Also, Bash is starting to resemble his father a little bit and it looks like he's got a full head of hair just like his proud papa. 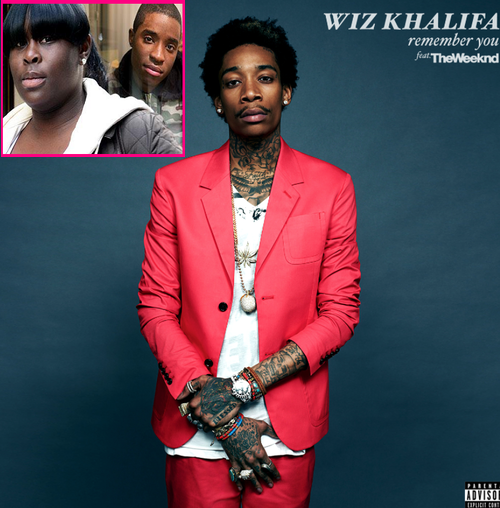 Wiz Khalifa Wasn't The Only African American "TREATED LIKE A THIEF" By Barney's NY, What About Jay Z? + Amber Rose On "Bethenny"
Following rapper Wiz Khalifa's experience with Barney's New York in Beverly Hills, two African American New York natives are currently suing Barney's clothing store in New York City for being falsely accused by the store employees of credit fraud. 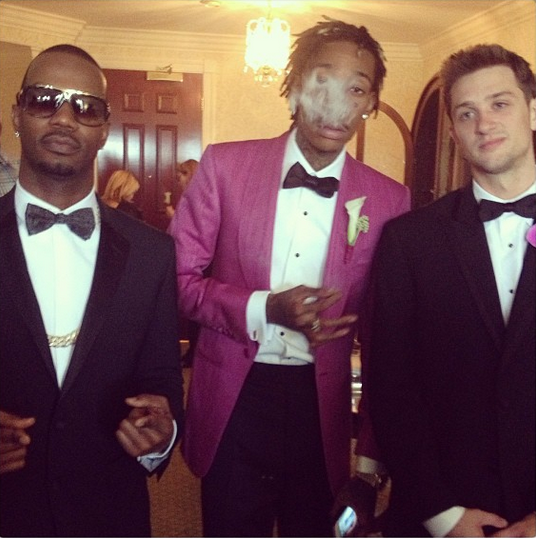 Congratulations to Wiz Khalifa and Amber Rose on finally having their wedding ceremony. The couple exchanged vows in July infront of a judge with plans for an official wedding ceremony in the fall. But it looks like they just couldn't wait. The ceremony itself isn't picking up as much attention as what the bride did the night before the wedding. The curvaceous beauty put out a twerk video on her instagram account for the world to see. Lets just say there is a new twerk queen. See Amber's twerk skills below. 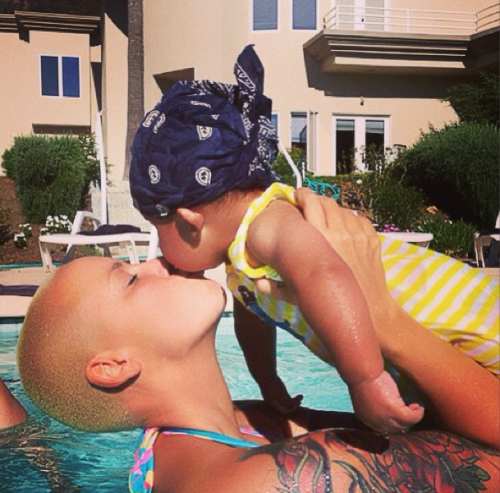 Dwyane Wade Ordered To Surrender His Sons To Ex-Wife Siovaughn + Amber Rose Poolside Kisses With Baby Sebastian! 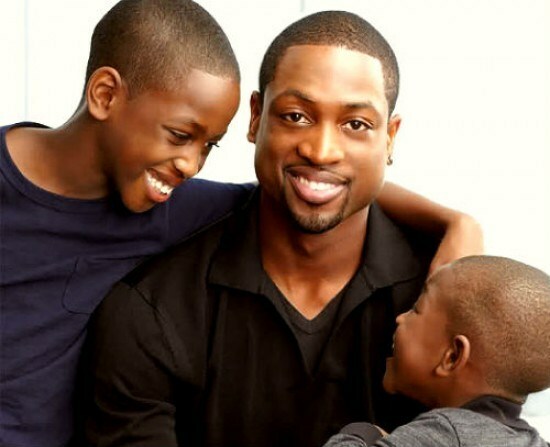 Despite having full custody of his two sons, Miami Heat baller Dwayne Wade has been ordered by a judge to surrender his sons to ex-wife Siovaughn Funches. The decision came right after a contentious three-hour hearing this on Wednesday afternoon. The judge, Antonio Marin, had scheduled 30 minutes to discuss the situation! Marin also ordered Funches to undergo an evaluation to determine whether she has anger management issues. Wade was supposed to make the two boys, Zaire, 11, and Zion, 6, available to his ex last week as part of their routine summer visitations. Despite the fact that Wade has full custody, Funches gets to visit with the children every other weekend. In summer, she’s supposed to get them for two weeks a month. But last week, instead of bringing the kids to Funches as planned, the ballplayer’s Miami lawyers filed an emergency motion to suspend further visits. They also asked that Funches undergo psychological evaluation after Funches staged a strange sit-in protest in her native Chicago. Neither Wade nor Funches attended today’s hearing. “They (Wade’s legal team) didn’t have a sufficient legal basis to justify the suspension of Siohvaughn’s visitation schedule,” said Lisa Macci, Funches’ attorney. Wade’s lawyers have yet to return calls for comment. Wade and Funches managed to hammer out a post-divorce financial settlement last week in Chicago. It’s supposed pay Funches $5 million plus plenty of goodies. 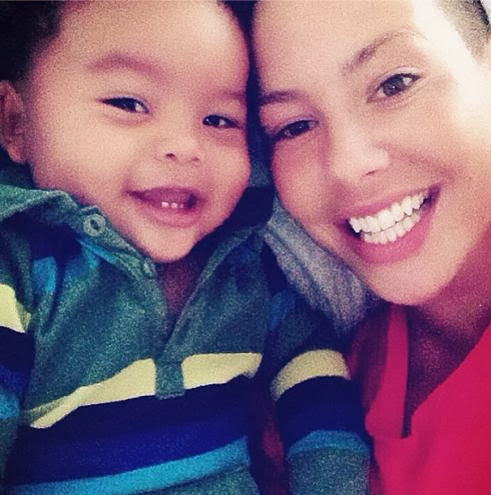 Yesterday, rapper Wiz Khalifa's wife Amber Rose shared photos via Instagram of their son, Sebastian. Just a day after making out on the red carpet at the 2013 BET Awards show, rapper Wiz Khalifa and his fiance was spotted out with their son Sabastian in Beverly Hills, CA. TROUBLE IN PARADISE? 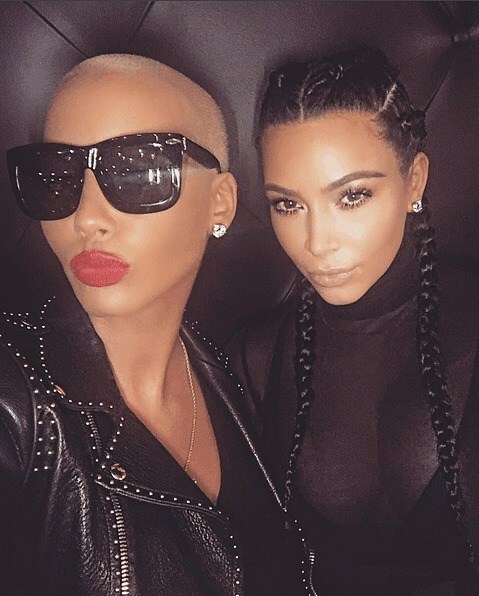 Wiz Khalifa Caught Creeping On Amber Rose With A Model Chick! 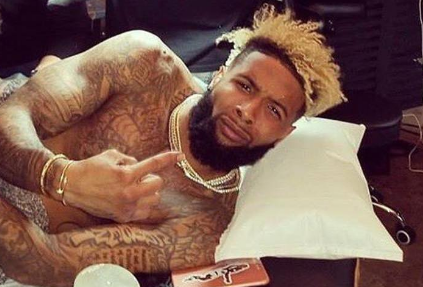 So, word on the street is that rapper Wiz Khalifa is creeping on his baby mama and fiance Amber Rose with a model chick by the name of Nikki. The "Work Hard" rapper, who's now claiming his account was hacked via Twitter, 'allegedly' messaged Nikki on Instagram--leaving her with his number in a comment after liking the model's pics.